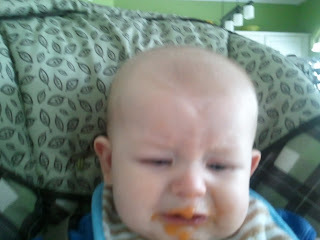 Ethan "enjoying" his sweet potatoes this afternoon. We've been trying to feed Ethan solid food for just over a month now and the results have been awful! 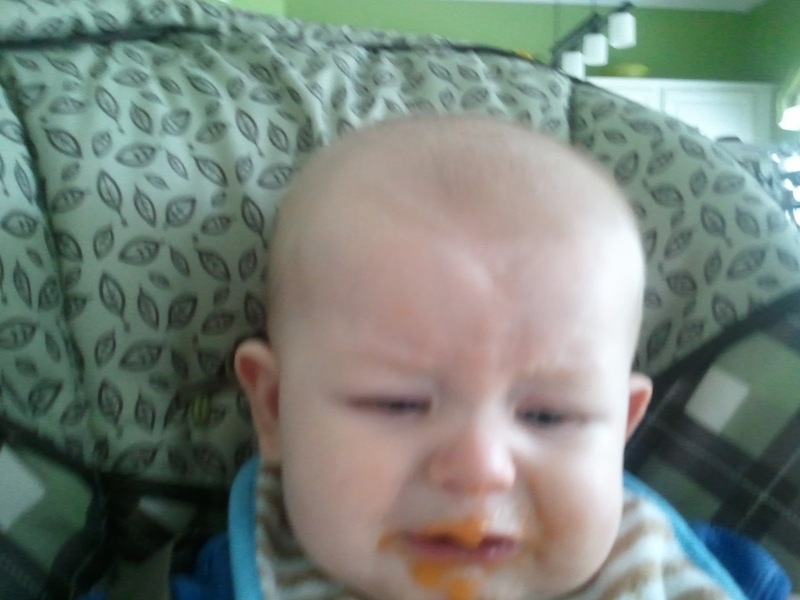 Sweet potatoes are the only thing he will eat and he will only eat them sometimes. 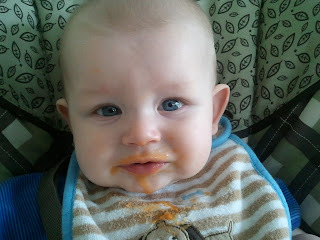 On a good day, we can get him to eat almost 1 ounce of pureed sweet potatoes. 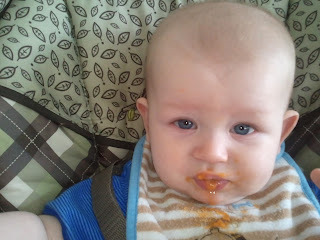 Most days, we are lucky if he gets 2-3 spoonfuls of sweet potatoes down. I try to time his solid-food feedings for when he is awake and not starving (if he's too hungry, all he wants to do is nurse). We try different times of day and different foods. 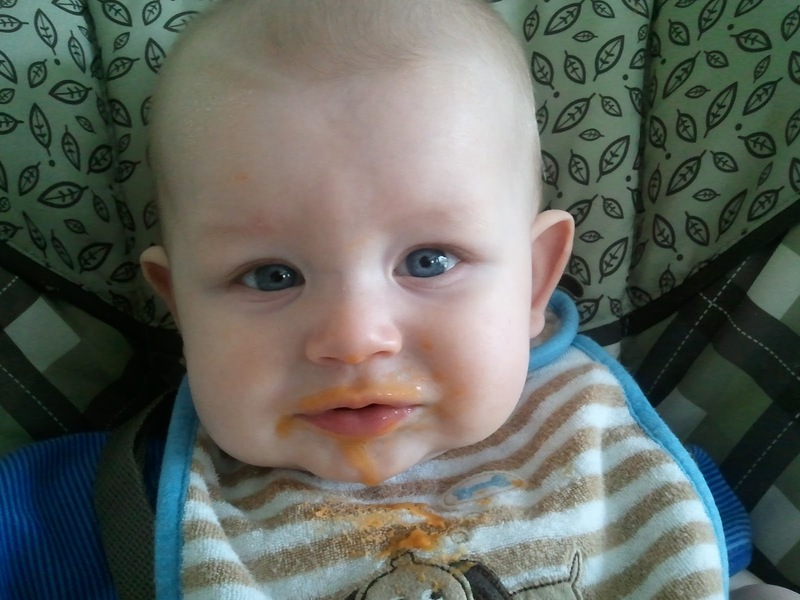 So far he has sampled rice cereal, apples, avocados, bananas, sweet potatoes, and carrots. 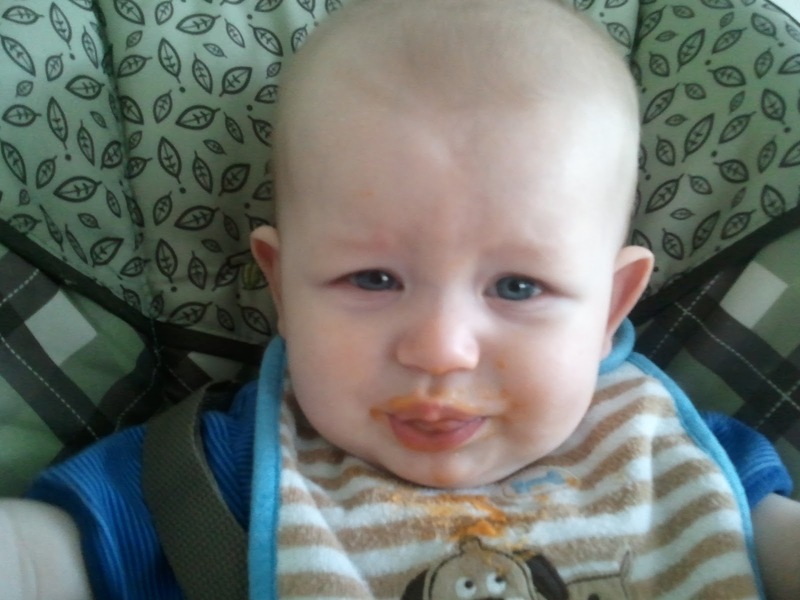 He likes the rice cereal OK but the sweet potatoes are by far his favorite. The apples were the worst experience (I tried them twice, the first time mashed and the second time pureed). We ended up having to hose off the stroller the second time he tried apples, so we definitely won't be trying those again for a very, very long time. It has been a very frustrating month and it seems that we've wasted a lot of food. Perhaps it is time to take a break from feeding the solids and try starting again in a couple weeks. This is his "I hope you're finished trying to feed me" look.